Barça Lassa have beaten one of their direct rivals for Euroleague qualification, Anadolu Efes Istanbul, who were one win ahead of them before this Thursay night meeting. 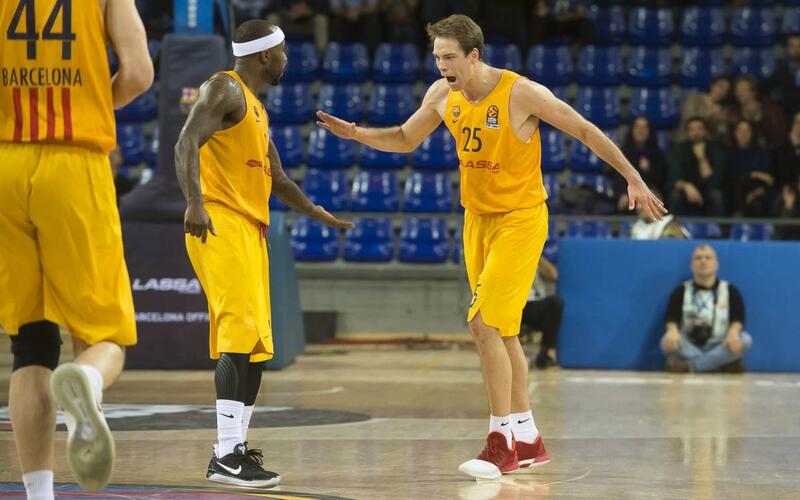 With an impressive 15/25 in three-pointers leading the way along with Rice (nine assists), Claver and Koponen (15 and 20 points) and an impressive Faverani marking his debut with 18 points of his own, it all leaves Barça Lassa 8-10 in the regular season with twelve games to go. Barça went full out in offence from the very outset, but things didn’t start clicking until Brazilian Faverani stepped onto court and scored seven consecutive points to mark his debut. Some start! The newcomer took the reins and the first period ended all-square on 11-11. The club’s new signing was making all the difference, ripping the Turkish man-marking system to shreds. Koponen also started to shine, and with Renfroe, Oleson and Rice all taking threes in the second period, the game was still anyone’s for the taking by the time of the break (33-34). The first half may have been cautious from both sides but things burst into life after the interval. Faverani continued to marvel, in defence as much as offence, leading defensive rebounds with seven. Ultimately it would be a Doellman three that spurred Barça into life and a 10-0 spree finally put a meaningful difference between the sides, and it was a difference very much in Barcelona’s favour (53-48). The Palau was being treated. Faverani was involved in two consecutive 2+1 plays to make it 63-53 with two minutes to play. And the final nails were banged home when Claver converted yet another 3-pointer to make it 70-55. Koponen (6/8) led the way in the category that truly tipped things Barcelona’s way, with 11 of their last 9 points coming from beyond the 3-point line. But the man they’ll be talking about tonight is Faverani. What a fabulous signing to the team!